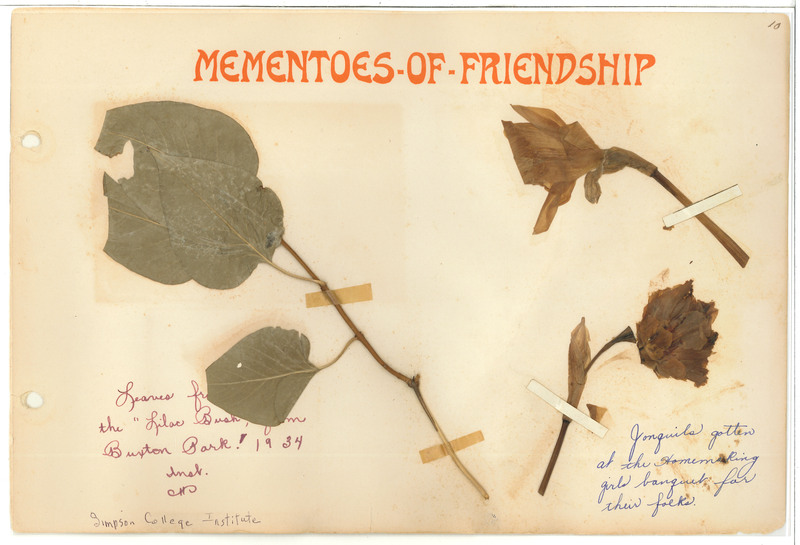 Mementoes-of-Friendship 10 Leaves fr the "Lilac Bush, [from?] Buxton Bark! 1934 Inst. Simpson College Institute Jonquils gotten at the Homemaking girls banquet for their folks.